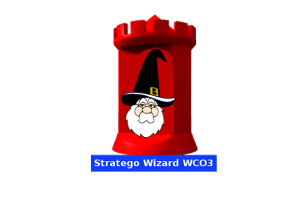 Congratulations to the British Gandalf of Stratego predictions! Not only did he play in the wizard, he was also a volunteer helping with this years edition. Also thanks for that! MajorNelson and KARAISKAKIS were the runners up with 17. Note that jimmies13 answers were also worth 17 points, but were edited after the deadline, so we did not count them for the current round. I hope everyone enjoyed this edition of the Wizard and that TheOptician will use his new avatar that will be send to him soon. I'd like to thank my family, who have provided moral support throughout this great adventure, and also my lucky goldfish (her name is waterfall) who helped me pick the answers. Nortrom may have won the WCO, but we all know who the real winner is.